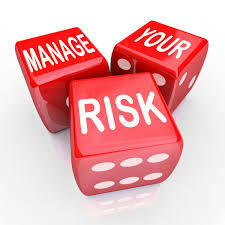 Risk Management – a must for all businesses. The discounting effect of a poor or inexistent risk management culture on business reputation and integrity is quite overwhelming. Therefore, the need to promote transparency, integrity and business ethics has driven many businesses towards embracing a risk management culture. Business entities across the globe are all thriving towards managing the risks of doing businesses in the global market. Risk-conscious businesses all over the world are beginning to display zero tolerance towards the damaging effect of ill-contracted business relationship. In assisting businesses overcome the challenges of managing risks associated with their businesses, PML Advisory Limited stands out as an advisory intellect in providing choice solutions, expertise and tools. With our solutions, you can count your gains and discount the negative impact of risk management failures. At PML Advisory, we have the unparalleled expertise, skills and user-friendly risk management solution to assist you in managing simple and complex processes. With our wealth of experience, we can you help you relax your nerves in managing the risk of doing businesses through solutions tailored to the nature of your business.